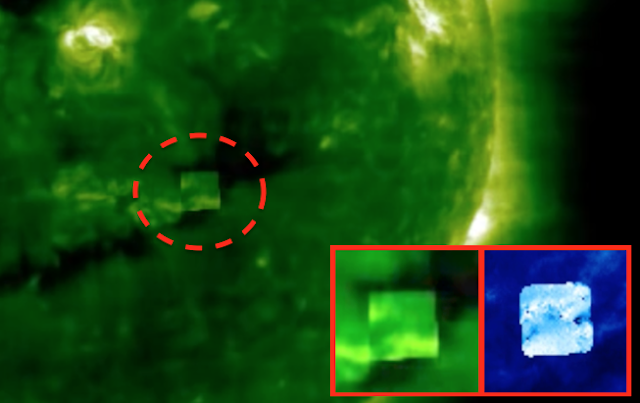 UFO SIGHTINGS DAILY: TWO NASA Cameras Catch UFO Cube Near Sun Bigger Than Earth! Aug 2016, 2 Videos, UFO Sighting News. 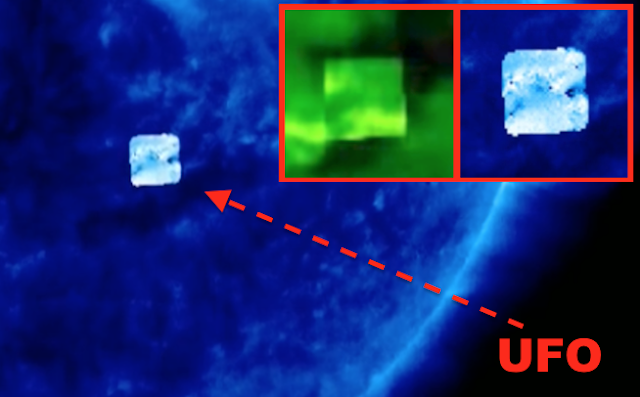 TWO NASA Cameras Catch UFO Cube Near Sun Bigger Than Earth! Aug 2016, 2 Videos, UFO Sighting News. This UFO cube was seen at our sun again and these two different cameras caught it. The fact that two different cameras saw it is 100% proof that this is not a computer glitch. This is evidence that the cube is really there and is a large solid object bigger than Earth. The cube is in the same location in both photos. The two different videos below were made by two different UFO researchers, but they fit perfectly. The two cameras are EIT 195 and EIT 171 and they took photos 25 hours apart, yet the cube is in the exact same place! Its sucking away the suns Chromosphere (surface) and maybe the next layer of the Photosphere for some kind of energy that it needs for power. Natures fuel for aliens, but it may be taking it to deliver to an alien world in our solar system, because we see it often around our sun.